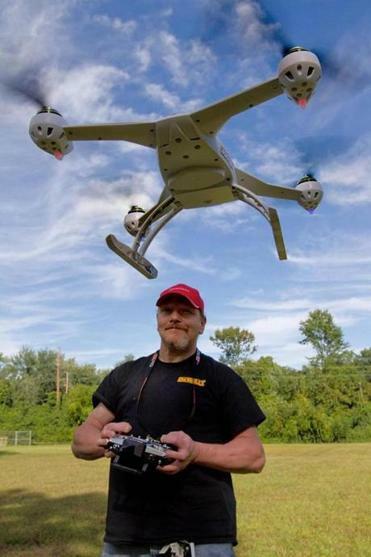 A drone pilot guides his new Blade 350 QX in a field in New Jersey in September. Under current FAA guidelines, commercial drone flights are legal only with a special permit. When Jeff Bezos announced last year that Amazon was testing unmanned drones for delivering books and CDs by air, it was the most public sign yet of the commercial potential for remote-controlled aerial vehicles. Since then, consumer giants like Google and Domino’s Pizza have reportedly begun developing drone research programs, and small drone copters carrying cameras have been approved for aerial shots on some movie sets. But Federal Aviation Administration regulators, who are expected to issue proposed safety rules by the end of the year, seem poised to go too far and severely limit commercial drone use. Congress should step in to bring some sense to the process. Unmanned copters carrying cameras are already being put to use in beneficial ways: surveying crops and livestock, inspecting infrastructure, monitoring threatened species, and providing a birds’s-eye view in search-and-rescue missions. Under current guidelines, though, commercial drone flights are legal only when the FAA issues a special permit, a system that is cumbersome at best and badly in need of revamping. The Wall Street Journal recently reported that proposed new FAA rules are expected to require cockpit time and a pilot’s license, a lengthy and expensive proposition. Some industry observers believe that drone manufacturers will also be forced to require costly airworthiness certification – even for plastic copters weighing only 2.5 pounds. To be sure, the proliferation of drones does raise valid privacy and safety concerns. Even a small drone could pose a danger if it strays into an airliner’s flight path; the Washington Post recently reported a surge in near-collisions. But those concerns can be addressed by firmly enforcing a no-fly zone near airports and imposing strict penalties for violations — for commercial operations and hobbyists alike. To safeguard privacy, existing state laws governing unwanted surveillance can be used to set limits on drones. “The anticipated regulatory approach is simply a mismatch for the new technology, a top-down approach based on laws created in the 1950s to prevent midair passenger jet collisions,” said Brendan Schulman, a New York attorney who specializes in laws governing unmanned aircraft. Meanwhile, other national regulators have taken a smarter approach. Canada recently loosened rules for commercial drones weighing less than 55 pounds, and effectively ended regulation of those weighing under 4.4 pounds. Australia and the United Kingdom are also considering special certification for low-altitude, low-weight drones. There should be high-level discussion in Washington and in the Massachusetts State House about developing a framework to regulate emerging drone technology and establish realistic safety standards. Regulators have a tendency to look narrowly at existing technology when mapping out the future. Instead, they should more broadly assess the needs of this emerging industry and build in enough flexibility to allow innovation and experimentation to soar.